From sunny beaches and clear, cool waters to historical and cultural sites, not to mention duty-free shopping at bargain prices just to name a few, there’s really a ton of reasons why Guam should be on your list of must-visit paradises here on earth. 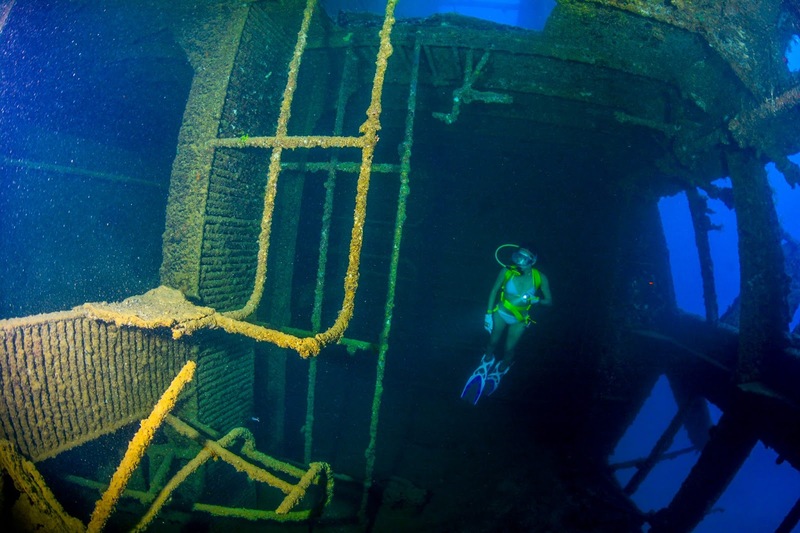 Now if you’re into underwater diving or marathon too, two big and unforgettable events are happening on Guam this April that will surely make you pack your bags and go. On April 7, the Guam Visitors Bureau (GVB) will commemorate the 100th anniversary of the deliberate sinking of the German ship SMS Cormoran at Apra Harbor, Guam in 1917 during World War I. Meanwhile, Guam’s annual premier running event, the United Airlines Guam Marathon, will kick off its fifth year with the HåfaAdai Expo and Packet Pick Up event on the same day. What made the scuttling of this armed merchant raider significant was that it marked the “first shot” in the war between the United States and Imperial Germany in WWI. The ship came to Guam in 1914 as it ran out of coal while avoiding enemies throughout the Pacific. Since the U.S. was not at war then, Guam’s military governor allowed the vessel to stay and its crew to come ashore and befriend the locals, but he refused to provide them the needed coal. In 1917, the U.S. finally entered WWI, and the island’s military governor ordered the Cormoran’s captain, Adalbert Zuckschwerdt, to surrender the ship. Instead of complying, the captain decided to scuttle the ship. When U.S. sailors saw this, they fired a warning shot across the Cormoran’s bow to stop its crew, but to no avail. The ship was sunk, and nine of its crewmembers perished. For the next 26 years, the Cormoran lay undisturbed in its watery grave. Then on August 27, 1943, during WWII, a U.S. submarine torpedoed Japanese freighter Tokai Maru, which sank and came to rest perpendicular to the Cormoran. This incident gave Guam a unique gift, making it the only place in the world where you can find shipwrecks from two different World Wars lying side by side. To celebrate the centennial of the Cormoran’s scuttling, a wreath-laying ceremony at sea and at the monument in the U.S. Naval Cemetery in Hagatña where the sailors who perished are buried will be held. 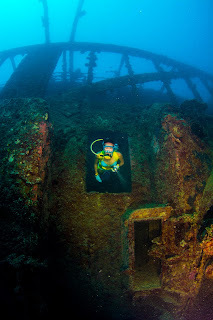 Special dive packages are also offered, wherein divers and visitors can participate in dive tours to the historic wreck site. There will also be history lectures at T. Stell Newman Information Center. The fifth edition of UGM that happens on April 9 from 3 to 11 a.m., is not just about running, but a host of pre- and post-race activities as well that can be enjoyed not just by the participants but also by the public. The HåfaAdai Expo to be held on April 7 from 12 noon to 6 p.m. (and continuing on April 8 from 9 a.m. to 6 p.m.) serves as the mandatory participant packet pick up location and is open to the general public. Festivities will include a running clinic by 2000 Sydney Games Olympic gold medalist and UGM ambassador Naoko Takahashi, sponsor booths, live entertainment, cultural activities, food and beverage concessions, shopping for official UGM and running merchandise, and other only-on-Guam activities. Additionally, there’s the runners perks program that features a diverse set of shopping incentives and other discounts that all registered runners, visitors, and local residents can enjoy. At the end of the race, an all-new BBQ Beach Party awaits participants and guests alike, taking place at Governor Joseph F. Flores Memorial Park (Ypao Beach), with the scenic view of Tumon Bay. Along with a live BBQ station, the party will also feature a live concert performance, beach games and entertainment, the traditional Tumon Bay post-race dip, beachfront photo opportunities, local food and beverage concessions, live cultural entertainment, and more! The UGM is also sponsored by the Guam Visitors Bureau and the Pacific Islands Club. 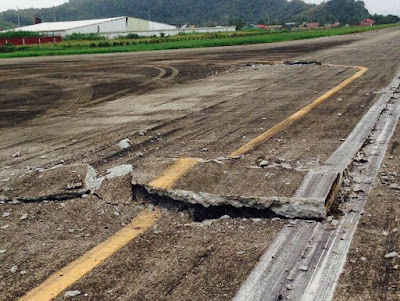 The Civil Aviation Authority of the Philippines (CAAP) has restricted operations at the Surigao Airport in Surigao City, due to runway damage brought about by the 6.7 magnitude earthquake that struck the area 10th of February 2017 at 10pm. Suspension is effective (today,) February 11 until March 10, 2017. In line with this advice, Cebu Pacific flights to and from Surigao will be suspended on February 11, 2017 onwards. * Opt for full refund or travel fund. As the love month rolls in, many are looking for places to spend time with their special someone, but Metro Manila traffic is proving to be a challenge as it eats out most of the people’s precious time. This year, escape the metro and visit the wonderful sights of the north to sample a delightful local favorite. RDF Feed, Livestock and Foods Inc. (RDFFLFI), the company behind Fresh Options meat shop, continues to churn out quality and innovative food offerings through Pampanga’s pride, Roberto’s. Located north of Metro Manila, Roberto’s is a Filipino-American fusion steakhouse that serves not only choice cuts of meat, but the freshest as RDFFLFI employs an efficient food production line where all meat cuts are strategically prepared according to the restaurant’s demands. For Valentine’s, Roberto’s is collaborating with Chef Charles Miller, a renowned American chef who’s currently the Executive Chef of the Perry’s Steakhouse in Dallas, to develop delightfully delicious Valentine’s menu at an affordable price from February 11 to February 15. Chef Charles is also concocting signature drinks like the Ultimate Berry Splash, Chocolate Lovers Delight, and Sparkling Sour Apple Champagne. 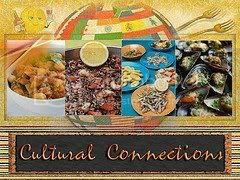 “Cooking has always been a passion of mine and I always come up with different ways to combine different flavors and textures so that people will enjoy each sumptuous bite. You can say that I am an innovator in the kitchen, but I leave the meat handling innovations to Dr. Robert,” shares Chef Charles. Roberto’s is located in SM City Clark, SM City Pampanga, Balanga Bataan, Vista Mall Bataan, Guagua Pampanga, Iba Zambales, and soon to open in SM North Edsa. 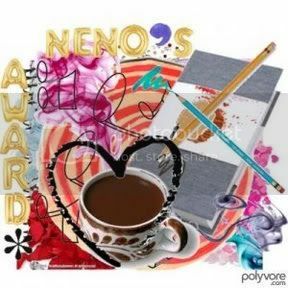 Follow them on Facebook via @Robertoscoffeeandtea or contact 0998.961.6902 for more details. From breathtaking panoramic views to soft white-sand beaches and spectacular sunsets, Guam is a perfect destination for cultivating love and romance. 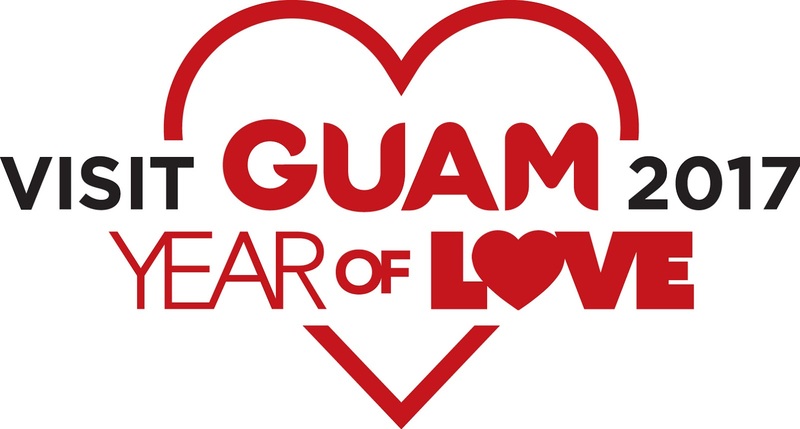 Whether it’s romantic love, selflove, love for family and friends, love for food and adventure, or love of the world around you, Visit Guam 2017 Year of Love will be a celebration of love by all definitions. Love Yourself. Visitors can achieve maximum relaxation with luxurious spa treatments or snooze peacefully on the beach in the shade of a palm tree. 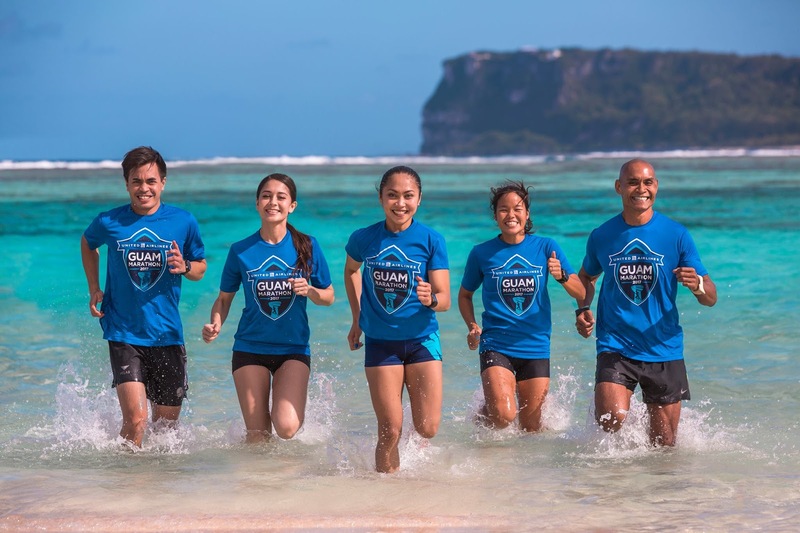 If getting healthy and fit is the goal, the annual Guam International Marathon and Ko’ko Half Marathon attract thousands of travelers every year. Guam’s got marathon shopping covered as well. And that’s tax-free shopping! 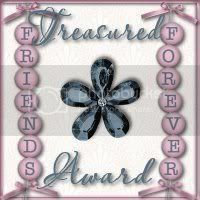 Love Family and Friends. With countless marine sports and loads of other fun activities like waterparks, dinner and magic shows, museums and cultural centers, festivals, fiestas and night markets, there are no shortage of ways for groups to create memories that will be talked about for years. 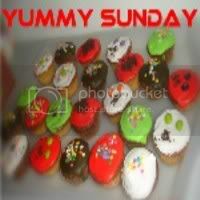 Love Food and Drink. Chamorro barbecue, red rice and chicken kelaguen are world famous. If that isn’t enough, Guam has restaurants of nearly every cuisine that will surely lease even the most particular palate. Love History and Culture. Guam has 131 sites across the island that are listed on the National Register of Historic Places. These sites weave a fascinating tale of the island’s struggles, resilience and victories that date back thousands of years. Love the Environment. Guam’s stunning landscapes and epic sunsets are legendary. From top to bottom, the island’s mysterious caves and waterfalls, pristine shorelines, and tranquil southern villages offer many opportunities to connect with the great outdoors. Love Romance. When it comes to romance, Guam is indeed the most romantic destination in the Western Pacific. Every year, hundreds of couples travel to Guam to get married or honeymoon, and Guam has received numerous awards for being the most romantic destination. Come celebrate and spread Love in Guam this 2017. Visit the Guam booth at the Philippine Travel Agencies Association (PTAA) Travel Tour Expo from February 10-12, 2017 at the 2nd floor, SMX Convention Center, MOA Complex, Pasay City. 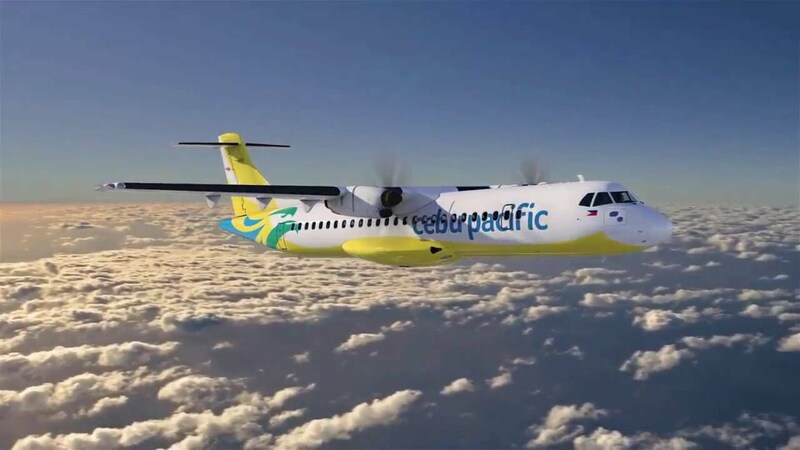 Starting February 15, 2017, Cebu Pacific Air (CEB) wholly owned subsidiary, Cebgo, will launch daily flights between Manila and Masbate; and four times weekly (Monday, Wednesday, Friday and Sunday) between Manila and Tablas using the newly-acquired ATR 72-600 aircraft. The addition of these new routes will allow our passengers to easily visit these fast-rising areas in Luzon, both known for its white-sand beaches, waterfalls and diving spots. “We remain firm in bringing people together through safe, affordable, reliable, and fun-filled air travel. With these additional routes, travelers will now be able to visit these destinations faster while enjoying CEB’s trademark low fares. Rest assured, we will continue expanding our network to reach more passengers in and out the Philippines,” says Alexander Lao, Cebgo President and CEO. CEB holds an introductory Php799 all-in seat sale for flights from both Masbate to Manila and Tablas to Manila from December 12-14, 2016, or until seats last. Travel period is from February 15, 2017 to March 31, 2017. Moreover, cargo services will also be made available in these areas together with passenger services, contributing to growth of the more than 2,000 accounts we currently hold. Last 11th of November, a PR company invited me to a grand launch of a new (to me) smartphone brand and its flagship model in Solaire Manila. Sadly, I need to decline the invitation, I need to do some errands here in CdeO. 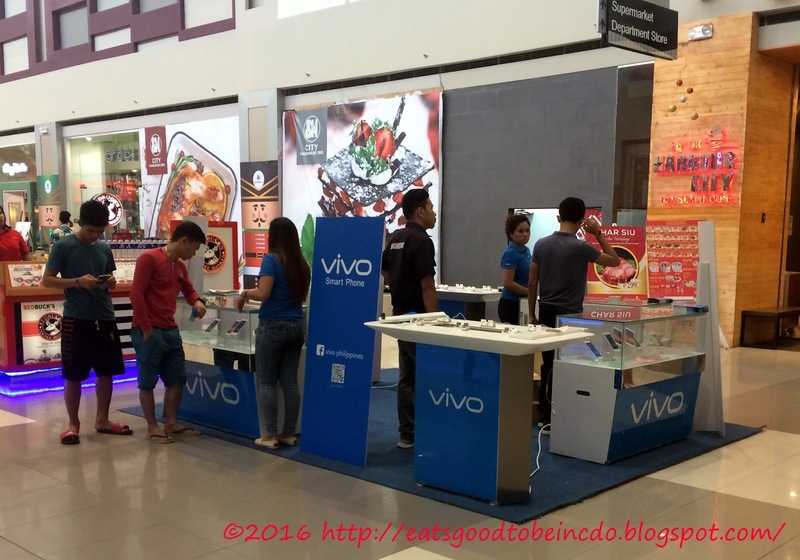 After a few days, 16th of November I guess, while strolling at SM City Cagayan de Oro, A new booth was being set up, and to my surprise its a Vivo Smartphone Booth. I just got a glance to the phones, took a few snaps and left for I need to fetch my wife at her office. 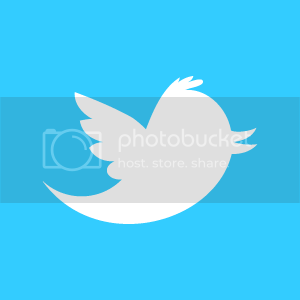 Smartphones now adays are more smarter, better camera resolution, and affordable priced. We now have many options for this merry month of gift giving. Disruption in technology has changed the way we live. As the cliché goes “Nothing is permanent except change”. What seemed to be a harmless household product, later on proved to be harmful in the long run. Years after fluorescent was discovered, it was found that fluorescent gives off a small amount of ultraviolet light and that 8 hours of exposure under a fluorescent light is already equivalent to an hour of sun exposure. Further studies also associate conditions like migraine, stress, mood swings and eye strain to prolonged exposure to florescent light. Environment issues on fluorescent is also a great concern. Fluorescent contains a small amount of mercury. Careless disposal can affect the ecological system. These studies has prompted most household to switching into CFL during the last few decades which was considered less harmful but still contains fluorescent, thus mercury is still present. If household were very susceptible to changing from fluorescent to LED light, commercial offices proved to be less flexible since they question the luminosity of the proposed light. Recent innovation has given a solution to the luminosity factor as it introduces the LED Light Tube, giving commercial offices the lumens they require minus the toxins. LED light tube gives the same high light output of fluorescent with the benefits of LED technology. CD-R King LED light tubes are available in T-8 10watts (php120), T-5 18watts (Php150) and T-5 20watts (Php200), all of which can last up to 50,000 hours. LED light tubes can be purchase with casing or as a replacement tube. Held it’s TravelBook.ph is a top online hotel booking site in the Philippines. With over 2000 hotel partners, it ensures that travelers have the best options for accommodations no matter where their destination is. 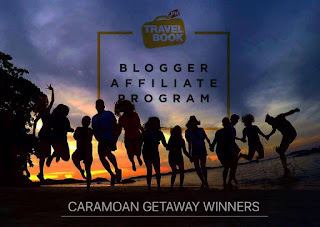 Recently, TravelBook Philippines hosted a 3 days and 2 nights Blogger Getaway in one of the most majestic places in Bicol - Caramoan, Camarines Sur. 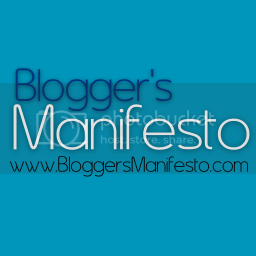 The 15 lucky blog winners were treated to an all-inclusive vacation. With two days island hopping, free accommodation, transportation, and full board meals, we’re that TravelBook.ph’s blogger affiliates experienced fun and adventure, all-in-one! If you want to experience how it is to be one of TravelBook.ph's Blogger Affiliates, sign up now and be part of our program. Register at http://affiliate.travelbook.ph or email us at travelbookph.affiliate@gmail.com. 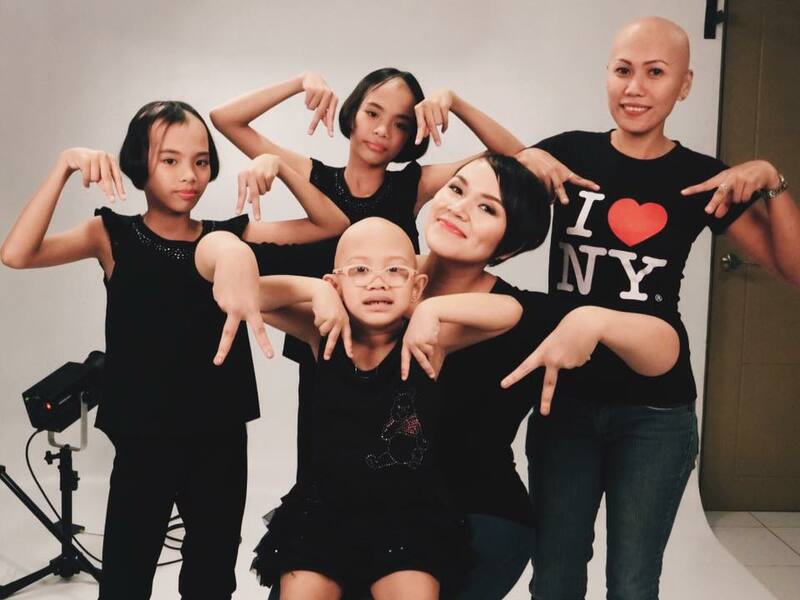 September marks the month-long commemoration of Alopecia Areata awareness worldwide. Alopecia Areata is a condition when hair loss occur due to faults in the immune system attacking the hair follicles which results in partial or total loss of hair on the head and other parts of the body. As technology and innovations continue to make our lives easier, we become more aware of different life-hacks – things that help make our daily activities less complicated, giving us time to do more important things like: getting groceries and supplies; kids' check-up; banking and among others. Paying multiple bills, as you will agree,continues to be a daunting task for us adults as we have to transfer from one place to another, switch from one website to another, just to beat the clock so to speak.Do you know that Bayad Center has transformed itself to a multi-channel facility to help us in whichever situation we’re in? Talk about ultimate convenience. We know this -- BAYAD CENTERhas over 5,000 payment locations nationwide, accepting more than 200 types of bills in its roster. Take for instance our area in Lagro, Quezon City, we see a lot of Bayad Center branches carrying that “bahay-kubo” icon and the Meralco seal on their signages. These branches are strategically located in commercial centers and other convergence areas to cater to your payment needs, as well as other services like Prepaid Loading, Airline Ticketing, and Remittance Payout. If you’re the one who prefers paying their bills while doing shopping or groceries, Bayad Center powers the bills payment facility of Robinsons Malls and Supermarkets, Savemore, Waltermart, Alfamart, Isetann, Landmark, Sta. Lucia Mall, San Roque Supermarkets, and the Gaisano Malls, so you get the same seal of service and integrity in your payments. Aside from these establishments, Bayad Center also runs the payment system of LBC, Philpost, 2Go, Cebuana Lhuillier, M. Lhuillier, Tambunting, Villarica, BHF Pawnshop, CVM Pawnshop, Raquel Pawnshop, Palawan Pawnshop, as well as major Western Union agents like USSC, eBiz, Pera Hub, and DA5. There’s Luzon Development Bank and Citystate Savings Bank as well. To our economic heroes - the OFWs - understanding the needs ,Bayad Center has partnered with Saudi Call, for those who are in Saudi Arabia and Ventaja which branches are present worldwide. With these partnerships OFW’s process of sending money to pay for the family’s bills are easily shortened.If you are an OFW who prefers a mobile application, there is - miLine which caters if you are in the countries of Singapore, Japan, Honkong& UAE.You can simply download the app for an easy way of paying bills back home.miLine’s bills payment system is powered by Bayad Center. 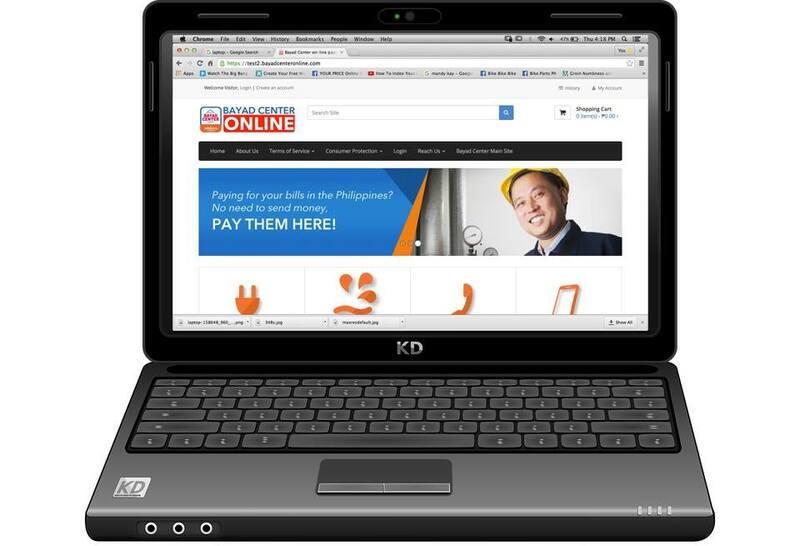 On the other hand, Partnership with PLDT Globalallows overseas Filipinos to conveniently manage their payables back home through an easy to use web- based payment facility - simply log on to www.smartpinoystore.com. Through the Bayad CenterInternational Bills Pay, overseas workers can already settle their household bills over-the-counter through these accredited partners of Bayad Center in the different countries abroad. ATM’s? 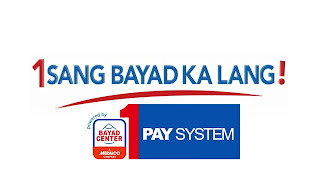 Well Bayad Center now has APM’s or Automated Payment Machines (APM). Bayad Center’s Touchpay Machines areself-service kiosks whose primary use is to help reduce payors’ waiting time in different payment convergence zones. These APM’s are strategically installed in buildings such as the biller’s business offices, government offices, BPOs, factories, malls, and convenience stores nationwide. Aside from Bills Payment, the TOUCHPAY MACHINE also offers other services namely, Prepaid Loading, Top-up, E-money, and many more. It’s an easy-to-use machine operating 24/7 so you can pay bills whenever your schedule permits. Want to pay your bills but don’t have enough time to go to commercial areas? 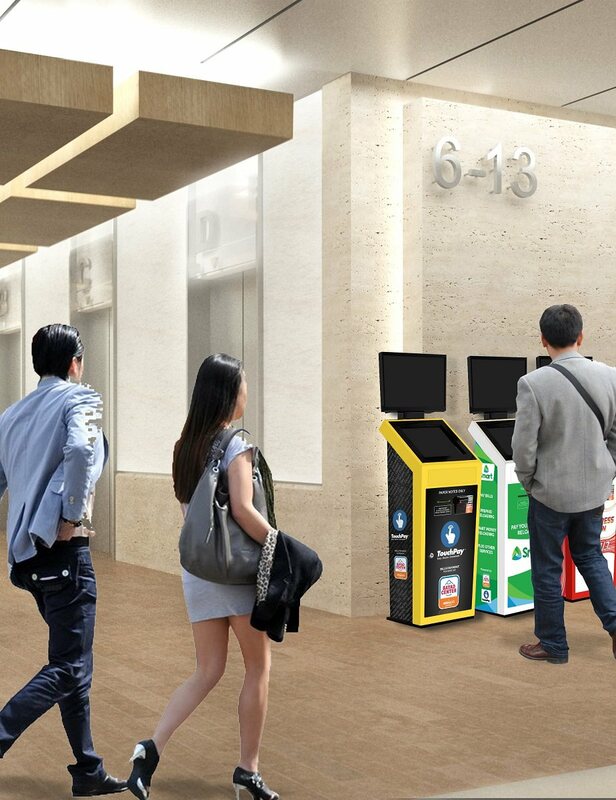 Bayad Center’s Retail Machine is the answer to your problem. The Retail Machines can be installed in Small and Medium Enterprises such as your ever reliable sari-sari stores, neighborhood pet shops and carwash centers, cooperative offices and even PUV terminals,offering services such as bills payment, remittance and E-Loading. Soon customers can even pay through their credit card, debit card, or Beep card. If you’re one of those who prefer doing everything online, Bayad Center Online can cater your payment needs thru http://www.bayadcenteronline.com/. Paying bills is now made easier at the comfort of your home. And since this is a web-based facility, you can also view and do the transactions on your mobile phone wherever, whenever. With Bayad Center, every Filipino, wherever they may be, can always be assured of #TatakSigurado! This is a testament of millions of Filipinos using the service. 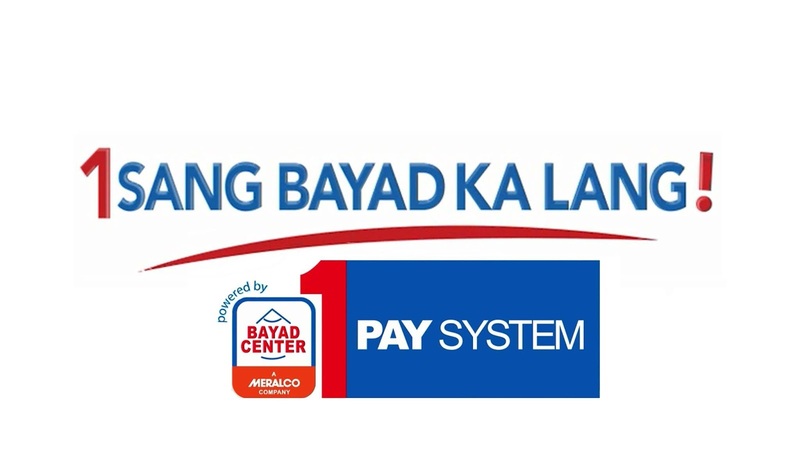 Now with a multi-channel facility, paying bills has never been easier with Bayad Center.